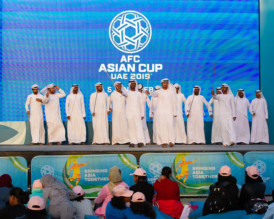 Football supporters can enjoy all the remaining games of this year’s AFC Asian Cup UAE 2019 live at the City Fan Zone, A’l Bahar at the Corniche. Entertainment with performances from singers to dancers, as well as interactive football activities. Bites from around the world are also available. Open from 1pm to midnight, with entrance being free. Match schedules on afcasiancup2019.com. al-bahar.ae. Ladies receive unlimited selected beverages from 7-10pm for Dh100 plus receive 30 per cent off bites and sharing menu. At 25, Marriott Hotel Downtown Abu Dhabi. Happy hours are from 4-10pm, offering select house beverages at Dh24. Call 02-3047777. Ladies night at Casa de Tapas, offering a free offering of Spain’s popular beverage. Tap into your inner flamenco dancer and revel on the dancefloor to the beats of a live Spanish band and DJ through the night. At Dubai Creek Golf & Yacht Club, 8-11pm. Call 04-4161800. 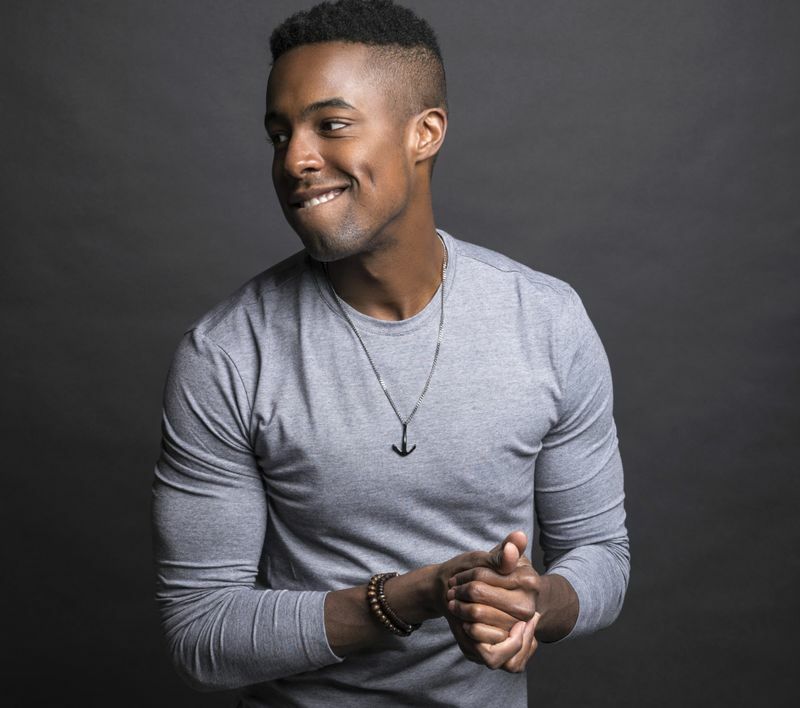 Chicago- born David Davis a soulful and expert showman who has recorded with legendary producers, from RedOne (Lady Gaga, Nicki Minaj, Jennifer Lopez, One Direction) to Aaron Sprinkle (One Republic, Eisley), will be hosting guests from today until May 2, at Q’s Bar and Lounge, Palazzo Versace Dubai. He has also launched his debut album, The Long & Short of It, available on streaming platforms. Performance timings Tuesday to Friday 9-10pm, 10.30-11.30pm and midnight-1am, Saturdays from 8pm-midnight, a minimum spend of Dh350 per person applies on Thursdays and Fridays. Call 04-5568865. A three-artist exhibition considering the complexities of memory and takes its title from the landmark 1956 paper by George A Miller. All three artists – Salama Nasib, Asma Khoory and Sara Al Haddad, approach the concept of memory through their work in different ways and techniques. At Meem Art Gallery, Um Suqqeim Road, until February 15. meemartgallery.com. In need of some serious pampering, head down to the newly launched Qua Spa at Caesars Bluewaters Dubai, where guests can experience a free 30-minute Iyashi Dome trial session, a treatment device inspired by traditional Japanese practice, ‘Suna Ryoho’ where locals bury themselves in the sand near hot springs on the beach to eliminate toxins – it deeply cleanses the body, restores its balance and has slimming effects. Available until February 10, prior booking not required. Call 04-5566666. 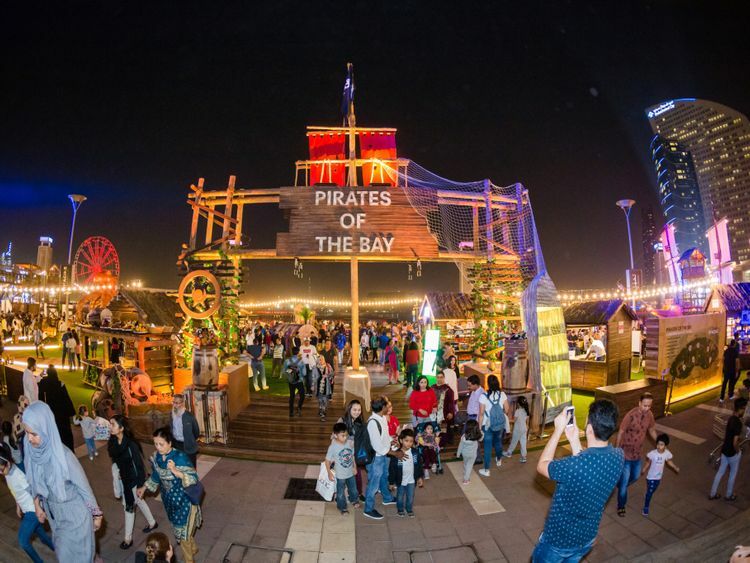 The outdoor waterfront at Dubai Festival City has been transformed into a pirate’s cove complete with a captain’s ship, bridges and archways, treasure and the launch of the whimsical new Imagine show A Pirate’s Tale. The story is built around their adventures, the mayhem, mutiny and the treachery to find the emerald ring and can be viewed every night, starting from 7pm. Parents can bring their little ones to the pirate playground, the sand play zone and the fun inflatable water theme park, that will have games and activities for children aged 3-10. Meanwhile, people of all ages can enjoy the pirate themed carnival rides and the chill out zone. dubaifestivalcitymall.com. Dubai start-up restaurant Buns&Cones has launched a barbecue kit that contains everything you will need when hosting friends or family around the fireplace. Enough to feed six people, each box contains six beef patties, soft potato rolls, lettuce, cheese slices, jalapeno, onions, spices, pickles and three sauces. A marinated chicken version is also available upon request. Dh185 per box. facebook.com/bncloaded. Sharjah Art Foundation’s new annual film festival is screening short and feature films from 40 countries, at various venues in Sharjah. The programme also includes talks led by local, regional and international film industry professionals; workshops focusing on different aspects of film production, which are free to attend. Tickets available on ticketmaster.ae and at the venues. General admission is Dh15, with discounted price of Dh8 for more than 10 screenings, until January 26. Full schedule on sharjahart.org.